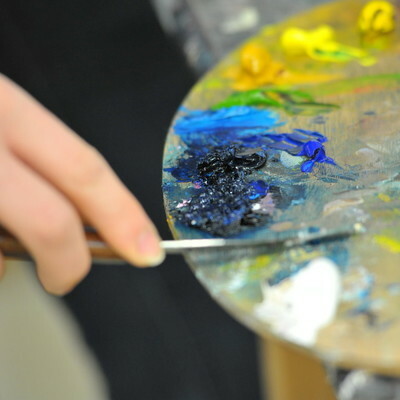 Approximately 20 student scholarships are awarded to new and returning art students, as well as to outstanding transfer art students. The application deadline is February 1, but some scholarships may be awarded during fall enrollment. Work-study, studio assistant positions and internships are also available. 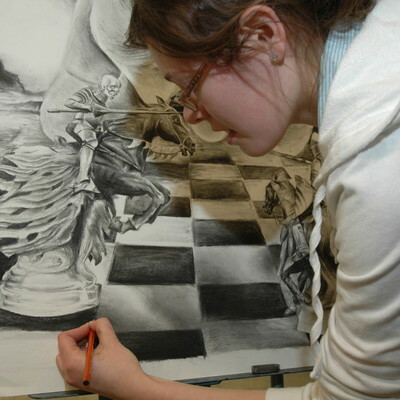 Art scholarships are awarded to full-time art majors only. Below is information on the scholarships available and a link to the scholarship application. In addition to the application, portfolios, letters of recommendation, and other supporting materials are required for consideration. The Barbara L. Buzick Art Scholarship is awarded to an incoming freshman art major and may be renewed through graduation, provided the student maintains high-quality performance in their studies. The scholarship provides tuition, books, art supplies, and on-campus room and board. To apply, students must provide a digital portfolio, an application letter, a transcript, and two letters of recommendation. Only one scholarship is awarded annually. The deadline for submission of portfolios and support materials is February 1. Student scholarships are awarded yearly to new and returning students. Deadline is February 1 of the current year for the next academic year of study. Washburn University offers numerous scholarships for students. Learn more and apply for scholarships. Scholarships are one of several kinds of financial aid available to students. Learn more about financial aid.